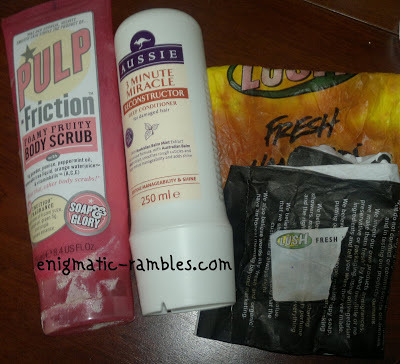 Another month is over and I have more empties for you! 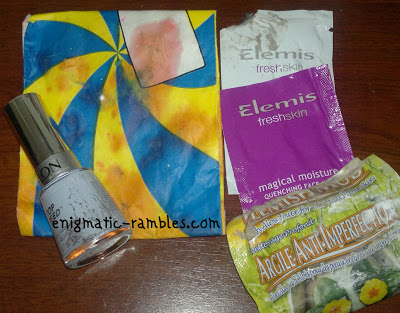 Elemis Fresh Skin Deep Clean Purifying Mask - I liked this, it helped with blemishes. A full review will be coming soon. Elemis Fresh Skin Magical Moisture Quenching Mask - I didn't really find this beneficial for my skin type, a review will be coming soon. Vintage Collection Rose Hand Cream - A very thick hand cream, scent is very much a strong rose one. I received a couple of these as gifts as while I am happy to use these up they aren't something I would repurchase. 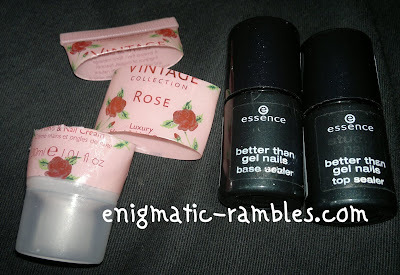 Essence Better Than Gel Nails - Base Sealer - A nice enough base coat, I would repurchase if it were easier to get a hold of. Also the bottles aren't see through which means it is hard to see how much product you have left. Essence Better Than Gel Nails - Top Sealer - Really glossy, thick and gel like topcoat I really liked this one and it dried quite quickly. I did hear however they changed the formulation of this product.